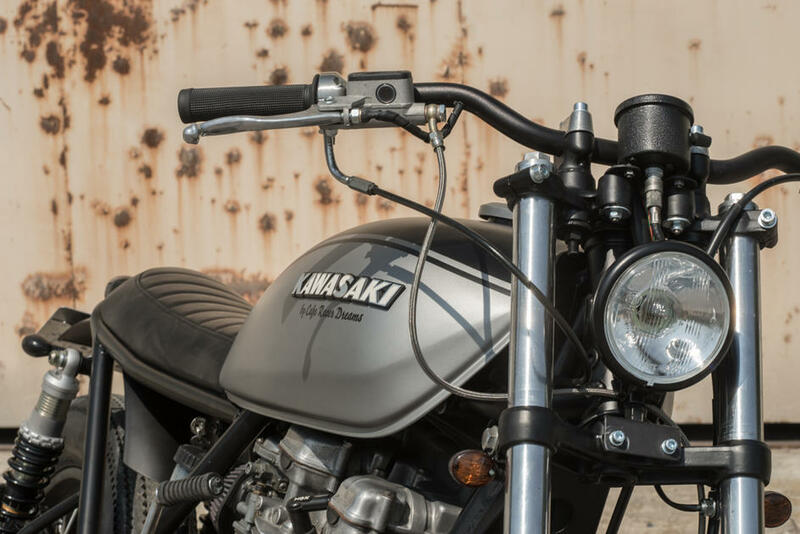 CRD28 Cafe Racer would be our first Kawasaki, a KZ 750 Twin from 1976 and the second bike that goes directly to the French capital where we began to be more demanded, being in this time of crisis in our country, our lifeline . 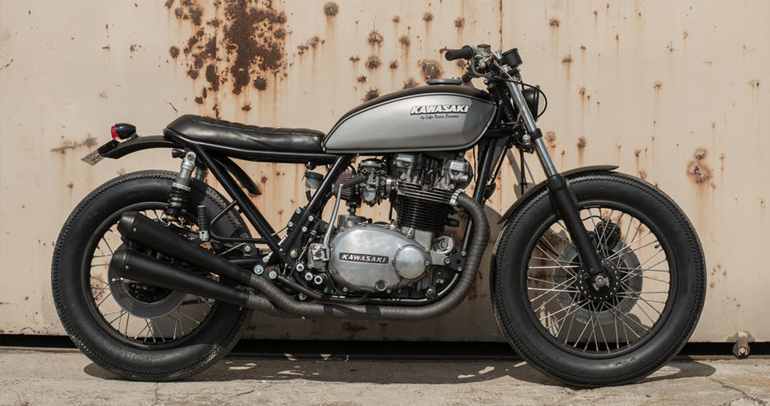 It is a motorcycle that never was sold in the Spanish market so, for us, it was quite an adventure to make it. With a silent two in two placed on the right side, Öhlins dampers, Firestone Deluxe tires, a smaller headlamp, gray exhausts and the entire set painted in grayscale or without color, the engine is left as it is, simply with the precious patina that gives the passage of time, the engine and the cylinder are painted in black. It also has the handmade aluminum battery box, ignition key inserted in tank, simplified electrical system, “Choke” (air) key inserted in the tank. Again, less is more. The minimalist style wins by a long shot. The triangle under the seat is left free. We want to address that we were the first to do this in CRD3 ‘Military Gold’ that still today is still a success. The seat, of square and a half, is upholstered in black and also has a very old leather found in a London market. 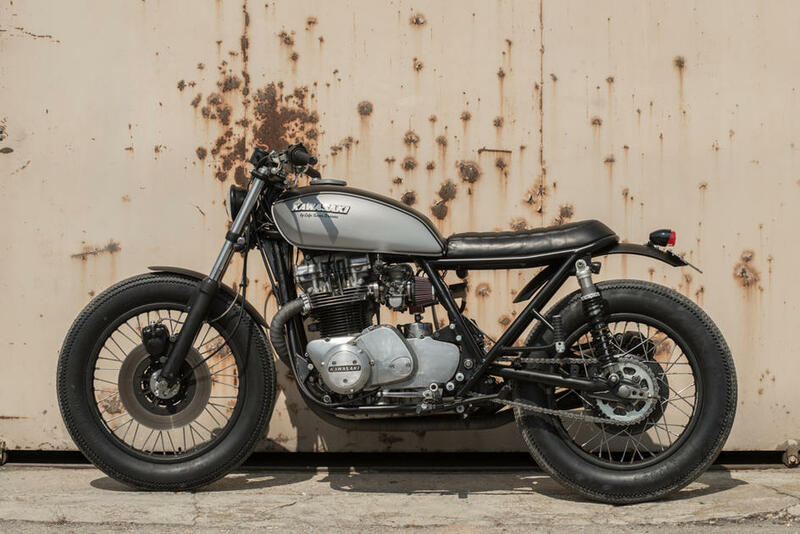 This link will take you to the article that The Bike Shed wrote about CRD28 Cafe Racer.